Portland's M. Ward graces us East Coasters (with Zooey! ), Jimmy Breslin talks literary longevity at BAM, and Canada lends us Leonard Cohen for a night. 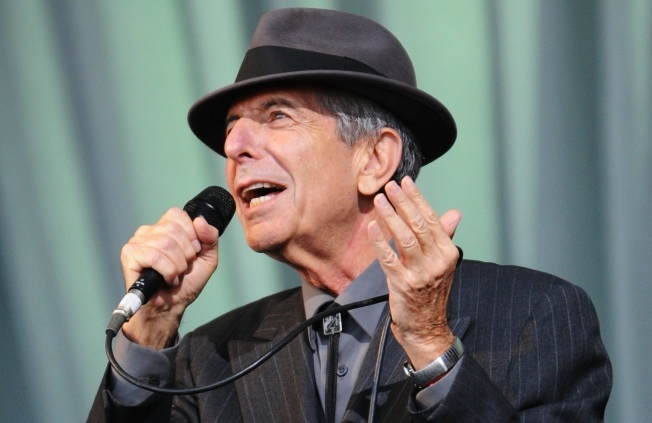 Poet-troubadour Leonard Cohen plays the Beacon after a 15-year hiatus. SECRET CHORDS: Reasons to go hear Leonard Cohen play the Beacon tonight: 1) It's his first U.S. show in 15 years, 2) He may still be hurting for cash after his ex-manager made off with his retirement fund and song rights, and 3) He's Leonard freaking Cohen. Bow to the master. 8PM. HE & HIM: It's not a She & Him show, but M. Ward is still dragging along Zooey Deschanel (and a host of other guests) to his solo Apollo Theater show tonight in support of his new release Hold Time. Brooklyn's Vivian Girls open. 8PM.